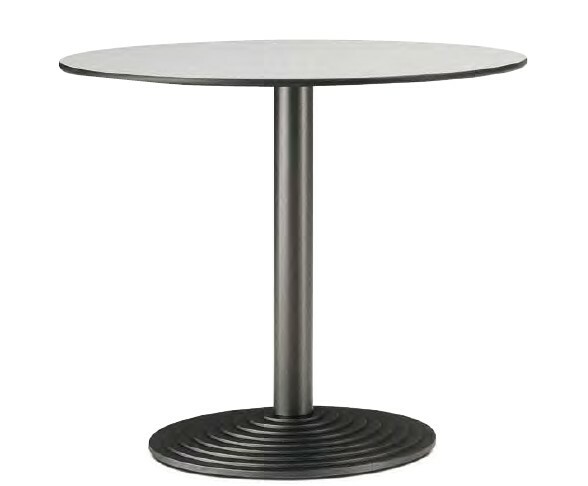 A modern dining table with a stepped cast iron base and steel central column, available with a powder coated, brushed steel or polished steel finish (outdoor finishes on request). 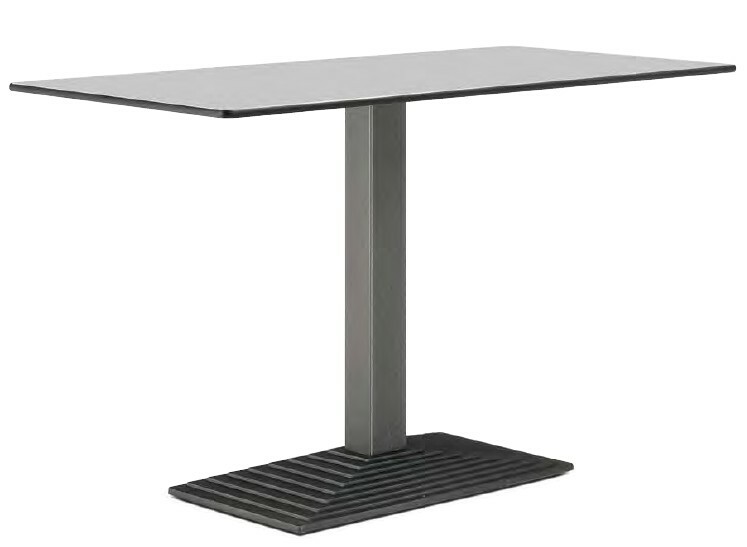 The solid laminate top is 12mm thick in black, white or gray with a flat edge. 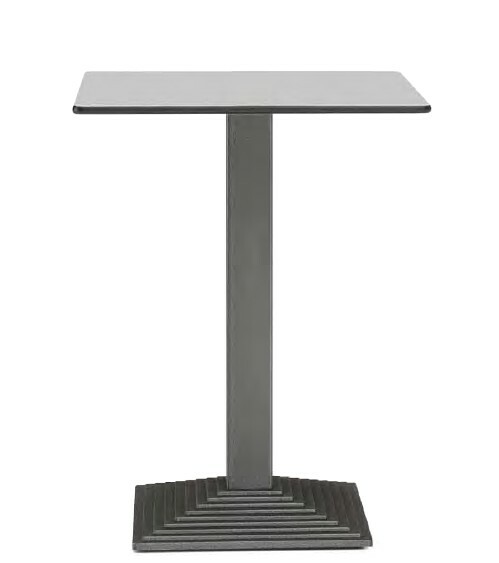 Perfect for commercial environments, more sizes and outdoor versions also available, see Contract Tables link below or call/email us for details.